I love me some good coffee. …Good coffee, that is. I’ve really had a hard time figuring out how to make my coffee taste good over the years especially using a regular coffee maker. 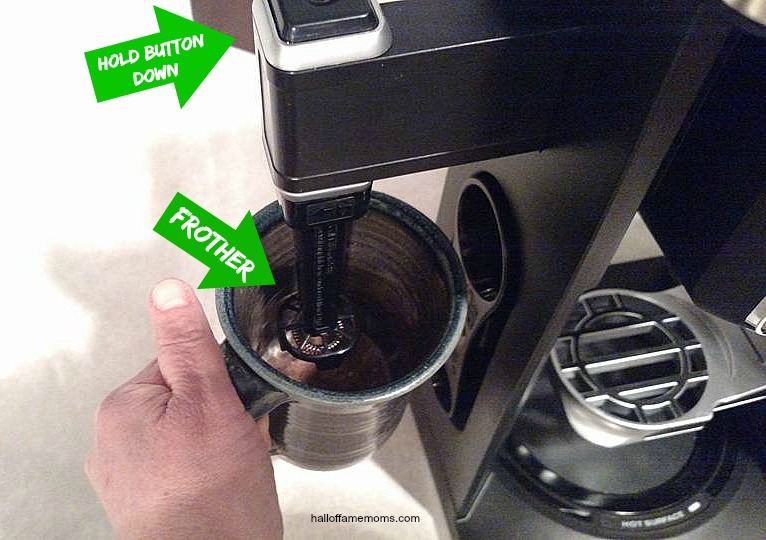 See, I’m the only one in my home that drinks coffee and that has made it difficult for me to make “good” coffee in a regular 10 cup coffee maker. Since I don’t drink anywhere near that amount in a day I use to try to make a lot less in that big pot and I just couldn’t get it right all the time. It became wasteful and so inconvenient and who likes coffee that’s bitter and maybe burnt? Not this girl. I’ve tried a couple different coffee makers that use pods and cups and then finally, my latest attempt, I started making my coffee using the French press method. But you know what I really like? Those delicious, probably too much sugar for ya, coffee drinks that the coffee houses serve. They cost a pretty penny too! I can’t justify spending $4 or more on one drink often – those are for occasions. Now, enter the Ninja Coffee Bar System. 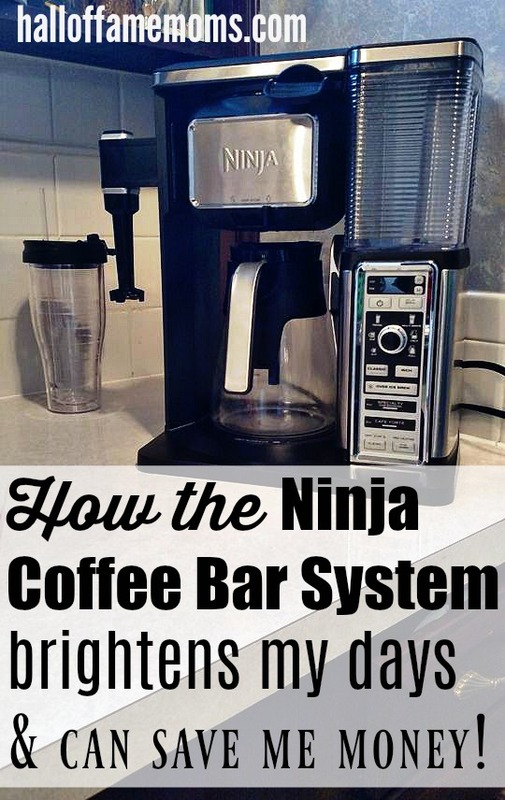 Yes, the Ninja Coffee Bar System makes my days better and here’s how. Ninja has made it so easy to fix myself a good cup of coffee or multiple cups for when I have company in a variety of ways – all with one machine and I have control over what goes into my coffee. My system is similar to this one. This machine came with a coffee recipe booklet as well, however, knowing what I like, I just make it the way I want. Look closely at my picture above and you’ll see I can have a regular cup of coffee either “classic” or “rich”. I can go for the 4 oz. specialty brew or the 8 oz. cafe forte (which is one of my favorites). I now don’t seem to crave expensive coffee-house drinks because I can make my own at home. 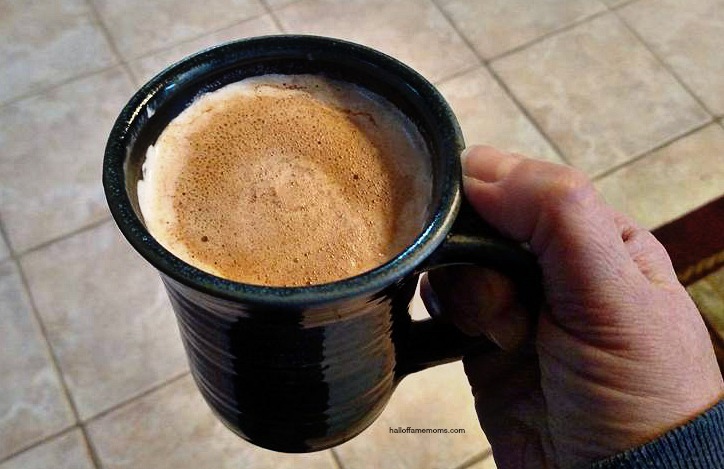 My go-to treat for myself is to pour a little heavy whipping cream into a mug (can warm it first or not, I usually don’t) along with some liquid Stevia drops (instead of sugar) and a generous dashing of cinnamon. Froth that up for about 30 seconds or so and then place my mug (if it’s not tall) on that flip out mug stand you see below to the right and push whatever button I want. For the mug you see below I’d go with the 8 oz. Cafe Forte. For a smaller mug I’d do classic or rich. I can also do a travel mug and, of course, I can make a regular pot of coffee. There is more than one Ninja Coffee Bar System – some come with a glass carafe or a stainless thermal carafe but you can get one without those. Mine came with glass and a large clear travel mug you can see in the image above and a long straw so you can enjoy iced coffee too! 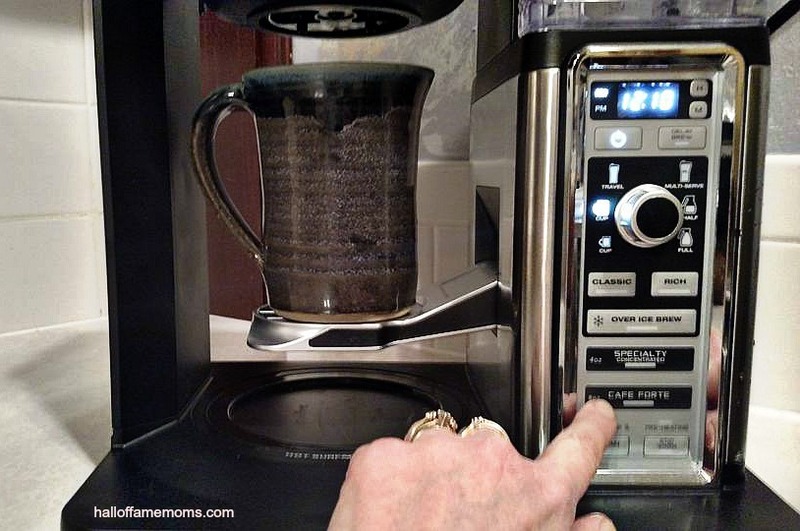 Like I indicated above, the Ninja Coffee Bar System makes it easy to have a good cup of coffee! While the system does come with its own measuring spoons, I use my own as I know how much coffee to use with it. I usually do two tablespoons or just a little less into making my coffee the way I like it. And, that’s for when I make just myself a cup of coffee. If I were making a pot I might change the amount per cup. You can see my unboxing of the Ninja Coffee Bar System <—here. I also have a video of me using the Ninja Coffee Bar System (see video below) and I just happened to have ran into an issue with it working correctly. No problem though! It apparently was an air-bubble. I had that issue once before making this video. I called the company for some help and the representative did a great job helping me resolve the issue. We discovered it was probably just an air-bubble and now I know what to do if it happens again. The Ninja Coffee Bar System ranges between less than $100 on up, I believe. My system is probably between $150-200. If you’re spending a lot of money on picking up coffee to go just do the math and see how much money you’ll save by buying your own Ninja Coffee Bar System. How many to-go cups equal the price of having your own coffee bar system? Find a variety of Ninja Coffee Bar Systems at this link to see which one suits your needs best! Thanks for the info on the Ninja! 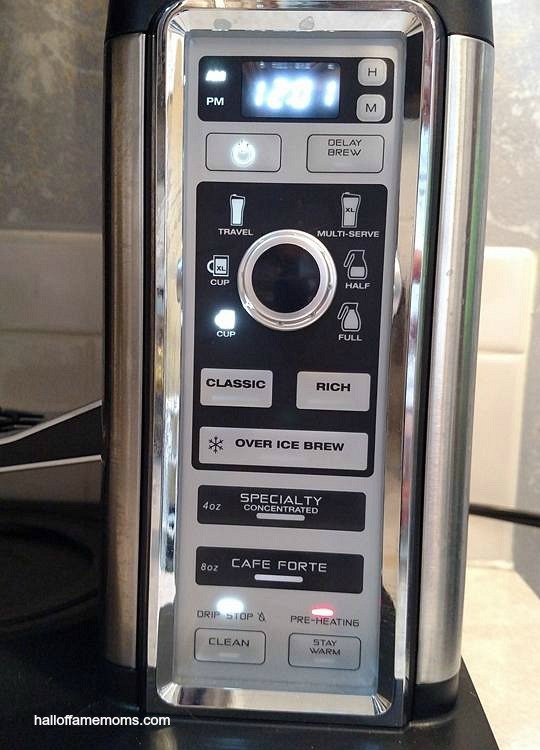 Looks like a great coffee maker! This sounds amazing.Florida Keys coffee is my favorite and definitely iI will make a try of this also.